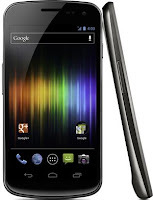 I wanted a Galaxy Nexus phone as soon as Google introduced it. I didn't, however, want to switch to Verizon Wireless to use it. I also didn't want to pay a huge amount of money to buy an imported GSM phone. Thank goodness, I can finally get my unlocked GSM Galaxy Nexus. It turns out that Google learned a few lessons from trying to sell the Nexus One online, and they're giving it another try. You can buy a new phone direct from Google Play. At $399 for an unlocked phone, it's not a bad price.